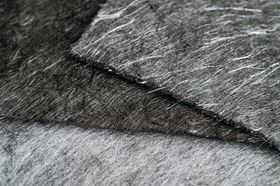 ELG Carbon Fibre’s range of nonwoven mats. ELG Carbon Fibre Ltd, a UK supplier of recycled carbon fiber materials, has joined the Institute for Advanced Composites Manufacturing Innovation (IACMI), based in the US. According to the company, the affiliation will increase its engagement with end users and a variety of development projects, allowing ELG to accelerate plans for expansion into the US. IACMI is a national organization based in Knoxville, Tennessee, that was established to improve the development of production technologies for low-cost, energy-efficient manufacturing of polymer composites for vehicles, wind turbines, and compressed gas storage. ELG’s initial commitment to IACMI is for 5 years and it is expected the company’s first US facility will be established within this timeframe. This story is reprinted from material from ELG, with editorial changes made by Materials Today. The views expressed in this article do not necessarily represent those of Elsevier. The Composite Recycling Technology Center (CRTC) and ELG Carbon Fiber Ltd (ELG) have signed a s (MOU) to collaborate on carbon fiber recycling.